Yes, it's sad, but true. There seems to be an extreme lack of cooperation when it comes to the weather and my knitted things. 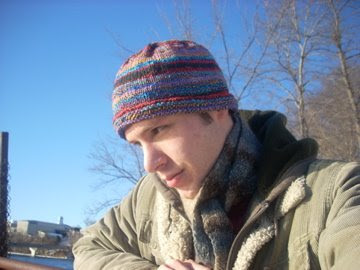 Recall how I wanted to knit a hat for myself after knitting that cowl? Well, I did it. I knit a hat for myself and I actually wear it. I call it my lumpy bucket. You see, it's not the wonderfully gorgeous hat I was hoping for. In fact, there is not a single part of this hat that turned out the way I envisioned. It just sort of sits on top of my head and is stiff enough to hold its own shape. The wonderful (read: odd) thing about this hat is that although it is stiff enough to stand on its own, the stitches are loose enough that the slightest hint of wind is able to blow right through it, which completely defeats the purpose of wearing a hat (it's only warm if I'm wearing it inside). So great, I have a hat. How unfortunate, right? Well, here's the thing. 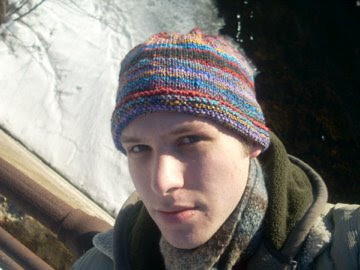 The day I finished this hat (that didn't matter if it blocked the wind or not because the weather was so pleasant), the temperature dropped back down to the negative twenties. 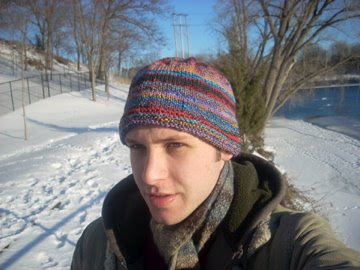 Remember how I jokingly said that if I knit a hat, the temperature would jump up to the 70s? (I wasn't joking at all, I really was hoping that would happen.) It didn't quite do that. Nothing I had in mind about this hat -- the fit, the warmth, its magical abilities to change the weather -- came out the way I had hoped. Oh, it's also not soft. I almost feel like I should be embarrassed to wear this hat around, but I'm not and I wear it every day. I knit it top-down using U.S. 8s and a skein of handspun I bought from TheyToldMeSew's Etsy shop a while back. I wanted to save the yarn for something special, which this hat was supposed to be. I though the stockinette would show off the wonderful colors in the yarn (which looked very different before they were knit up). Of course today the temperate was in the 30s, which is why I was willing to go outside long enough to take pictures. It figures that I'm halfway through a second hat that is going to be so extremely warm, soft, and will fit me just right. Oh and look, I found my scarf! I actually really like that hat! The yarn does look really cool all knit up. 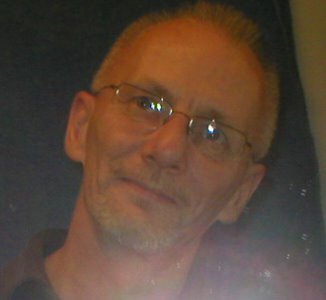 But...you look like James in the first photo, and John in the second. What's up with that? I've NEVER thought you looked that much like EITHER of them! I'm sorry your hat isn't what you want it to be, but hey, you found your scarf, so at least it's not all "unfortunate events"; right? You are so funny :) Glad to see you are enjoying your hat even if it didn't quite live up to your expectations. I think it looks great. Looks like it fits well, too. 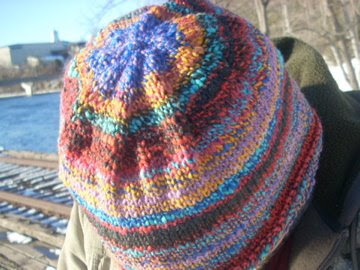 You know, if you really wanted a warmer hat you could always line it with a little polar fleece, or pick up stitches on the inside and knit a lining...or you could just freeze until that next one you have on the needles is done :p That might be a good incentive!